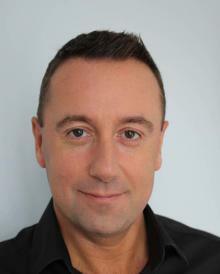 Paul Manning is a voice over professional with over 25 years experience in all kinds of voice work. Working full time from his professional home studio, he offers quick turnaround and high quality recordings and first rate customer service doesn't hurt either.rnrnPaul can voice any type of project you need. Have a corporate video for a client that needs to sound first class and sophisticated? Paul is your voice.rnrnSpecializing in corporate narrations, e-Learning, phone systems and on hold messaging as well as commercials and promos for web, TV or radio.rnrnIn 1989 Paul worked in Century Radio, Irelands first independent national radio station as a sound/studio engineer recording (the presenters), directing and producing the in-house commercials and promos, packaging the news segments and operating the on-air studio for the main news bulletins and various live shows. After Century closed down in 1991 Paul set up a small basic recording studio in his house and started doing voice over work for various clients. He continued this for many years in a part time capacity and then decided to go full time into voice over. He also did a Sunday radio show on Dublins 98fm for two years but realized that voice over and production was where he wanted to be.rnrnHe has just completed the Introduction to acting course in the Gaiety School of Acting and has enrolled for the advanced course beginning later in 2018.